Nothing ruins the relaxing vibe of your holiday like sudden panic about the house being robbed. Security expert and founder of the security monitoring centre Calamity, Daniel Lewkovitz, says he sees a mad rush of people wanting to install security systems around Christmas time each year. “It’s really important that people think about their security when it’s quiet and nothing’s happening, rather than calling us after they’ve suffered loss,” Lewkovitz says. Take precautions, because you'd rather watch Home Alone at Christmas time, than re-enact it. Since you’d rather watch Home Alone at Christmas time than re-enact it, here are some tips on improving your home’s security and giving yourself peace of mind. If you’ve got a good relationship with the next-doors, see if they can feed your dogs, water your plants and generally keep your house safe. Just having them keep an eye on suspicious characters makes the place safer, and that way they can call you if there’s anything wrong – but they can’t do that if they don’t know you. Ask the neighbours to park in your driveway. It will look like someone’s home and they will benefit from the extra space. Win-win. Daniel Lewkovitz recommends moving away from a traditional telephone-based alarm service, and instead choosing security systems that connect to a monitoring station via the internet and mobile networks. The new systems can’t be tampered with and motion sensor lights are an inexpensive deterrent. Lewkovitz also suggests having more precautions on levels above the ground floor that can be reached by climbing. Recent ABS research found 60 per cent of victims’ security had been compromised due to a faulty deadlock or loose window frame that was easily jimmied open, so it’s essential to check your locks and install new ones. Newer IP security systems let you monitor things from your smartphone. It’s one thing having your security system/alarm set up, but it’s much more effective if you can arm and disarm it remotely if something does happen. Another advantage of being able to open your doors with your phone is that you can let deliveries in. Choose newer IP security systems that let you monitor things from your smart phone. There’s a reason people do this cliched, old-school technique; because it works. 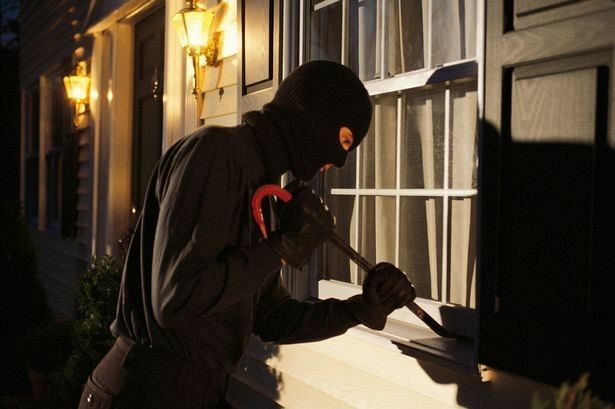 Burglars don’t break into inhabited homes, so turning on the lights and the radio may deter them. Similarly, you could place signs from security companies on the walls as a deterrent. This is where your neighbours can help you (see Step 1). Simple, but effective. Keep your valuables safe by making them impossible to access, then you can take things out and put them back on display when you return home. This includes social media – while we might all want to share that Christmas haul and the perfect lighting at our holiday destinations, it could make you an easier target for thieves. Tagging locations can make your house easier to find too, so unfortunately, there is such a thing as oversharing.